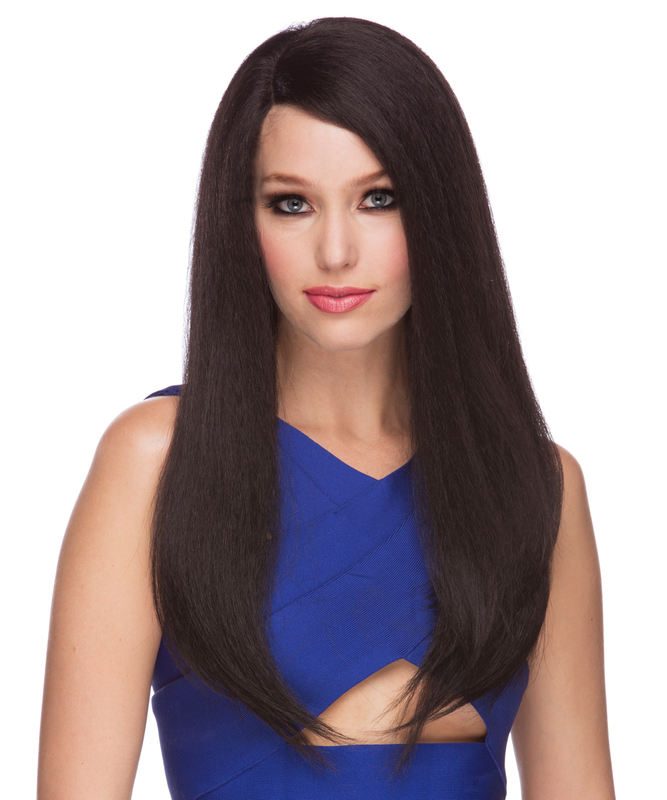 Lace front wig with long smooth straight hair and C-shaped side part. 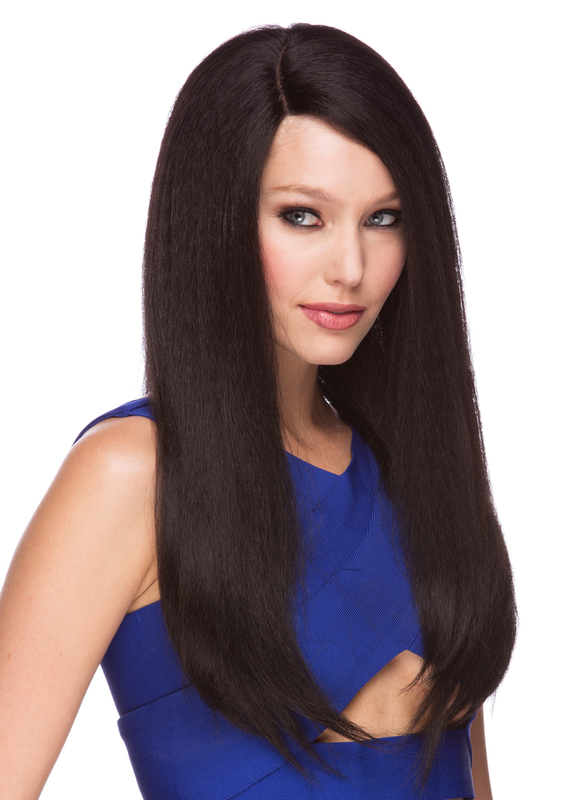 Premium quality adult size wig with great volume. 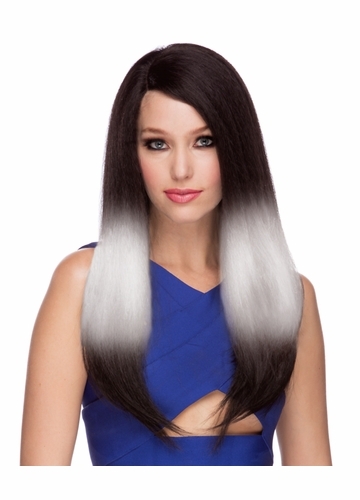 Model is wearing this wig in brand new ombre 3color natural black/grey(3T1B.grey) and natural black/white(3T1B.white) also available in black/burgundy, black/fire engine red and dark brown/blonde three color combination. 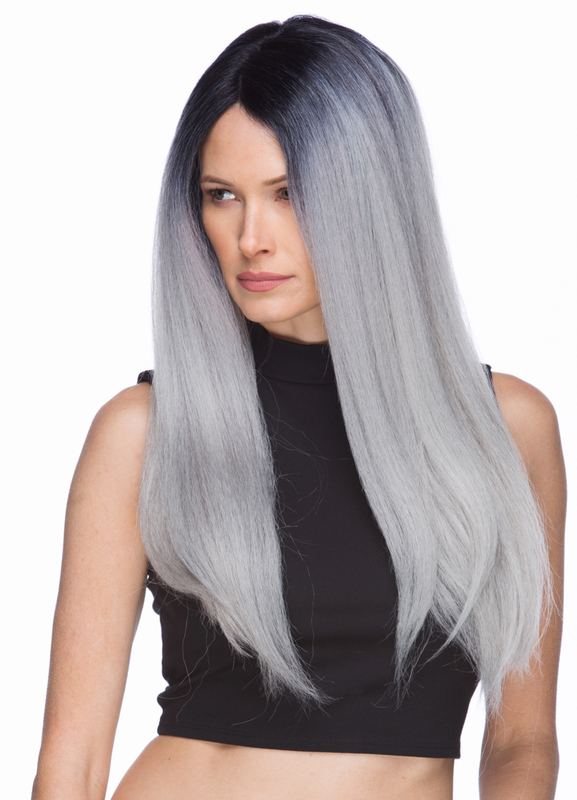 Additional photos show this wig in natural black. 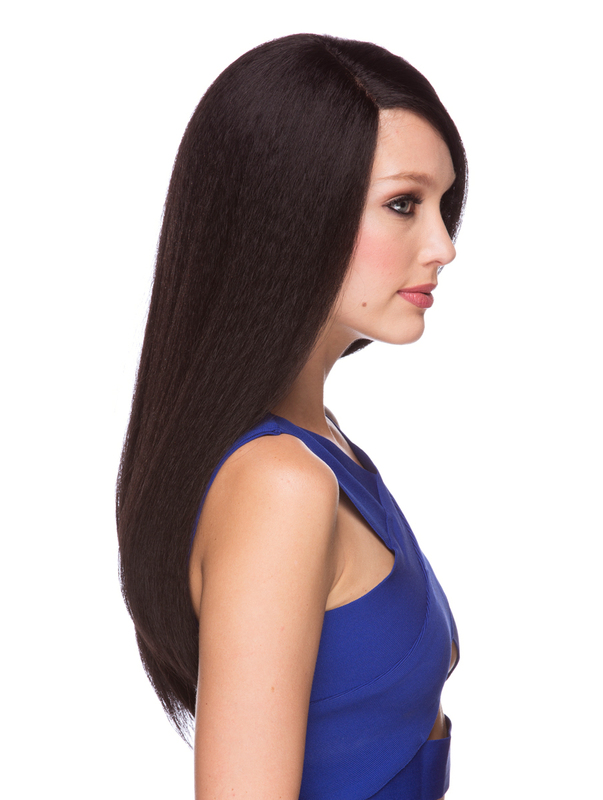 Pin down style with side part for secure and comfortable wear. 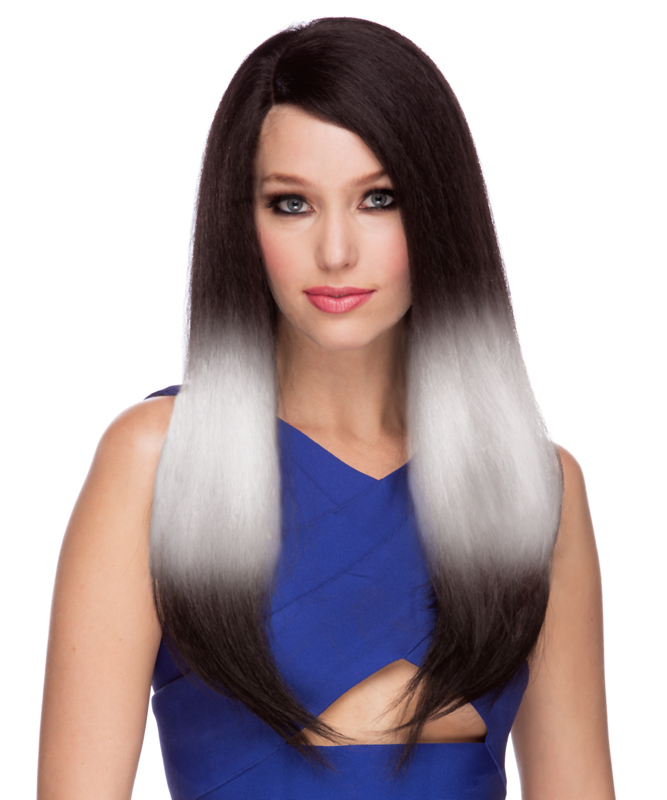 For more ombre three color styles check out our style Libby, Brandy, Ginger and Heather, Monet and Sahara.